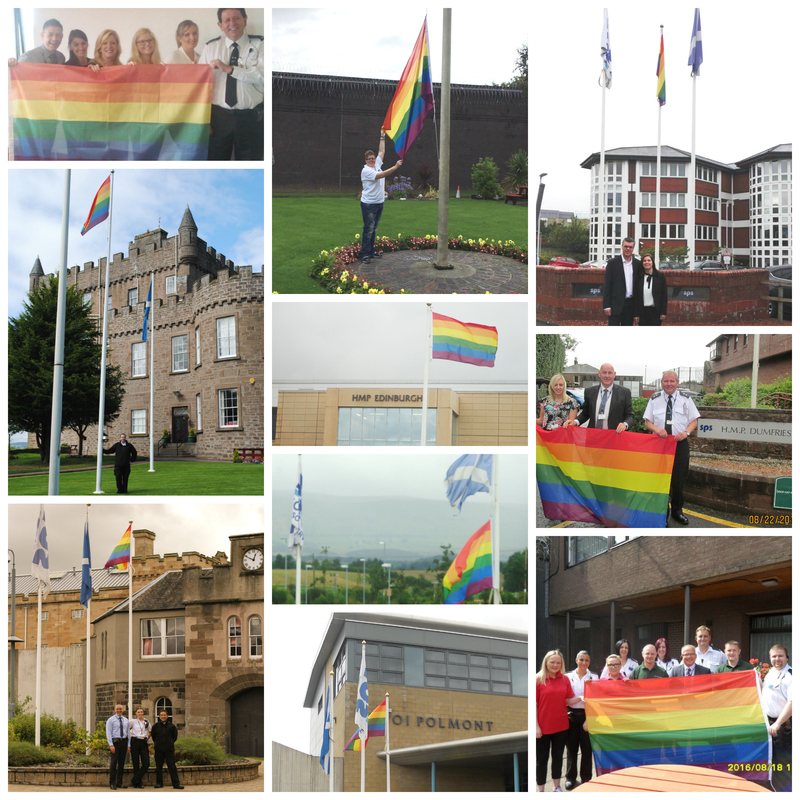 For Glasgow Pride, the weekend of the 20th and 21st August saw rainbow flags flying outside of prisons across Scotland in support of our LGBT friends, families and the LGBT people who work, visit and reside in our Prisons. 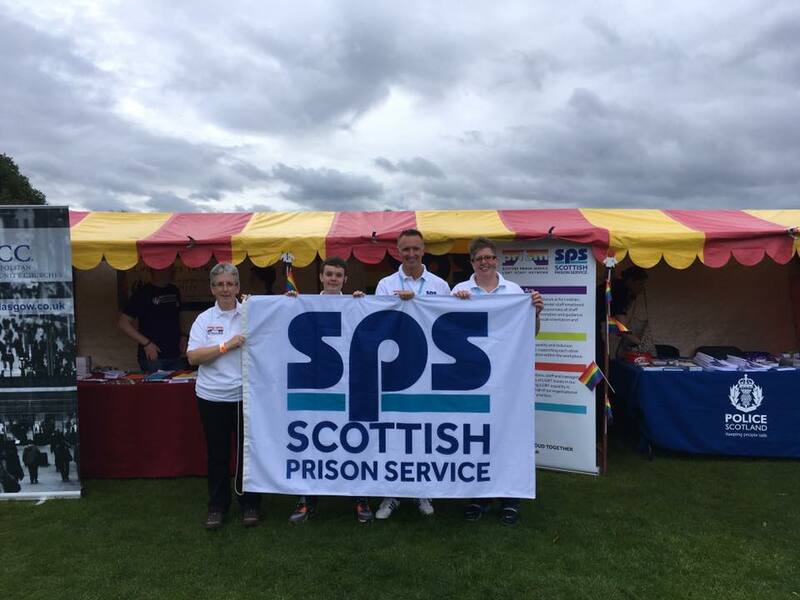 Pictured above are the rainbow flags proudly presented at HMP Shotts, HMP Castle Huntly, HMP Perth, HMP Barlinnie, HMP Edinburgh, HMP Low Moss, HMYOI Polmont, SPS Headquarters, HMP Dumfries, and HMP Greenock. “It is fantastic to see the Rainbow flag flying from all SPS estates. This is something that Prism has been calling for, and I am extremely proud to work for an organisation that makes such a visible commitment to LGBT equality and inclusion. The message it sends to staff, prisoners and the wider public is powerful”. 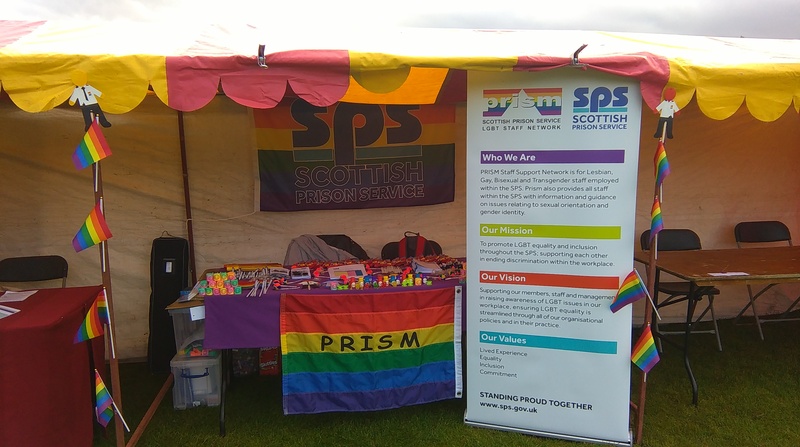 As well as displaying the rainbow flag, SPS also attended Pride Glasgow on Saturday 20th August with a stall in the expo area.